We do it all the time. Power-cycling modems, rebooting computers and restarting phones or tablets. These are the go-to initial problem-solving steps when something isn’t quite right. Rather than diving right into researching, isolating and resolving a specific problem, a reset can cover a broad swath. Quite often, the reset is enough, and your technology begins normal function again without consuming too much time. Why would a web browser be any different? It’s not! Here’s how to reset Firefox to its default settings. 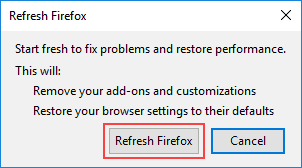 Firefox includes a Refresh Firefox option. If your Firefox installation is slow, crashing or unresponsive, refreshing Firefox could help. Problematic extensions are sometimes a cause of issues too. Refreshing Firefox will remove extensions and their related data. Also removed are search engines, download history, themes, security certificates, toolbar customizations, and more. If you are gun-shy about refreshing Firefox, there is no reason. When Firefox refreshes, it adds a new folder to your desktop containing the removed settings. 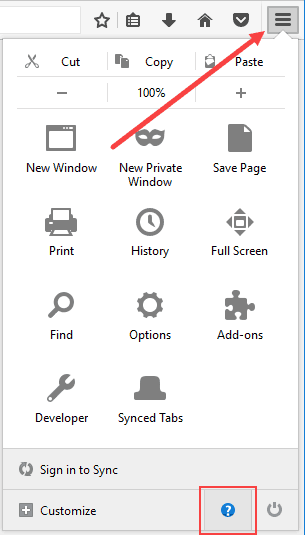 If, for any reason, you need the removed settings returned, just copy them to the new profile folder. Otherwise, you can delete the “Old Firefox Data” folder from your desktop if you don’t need it. 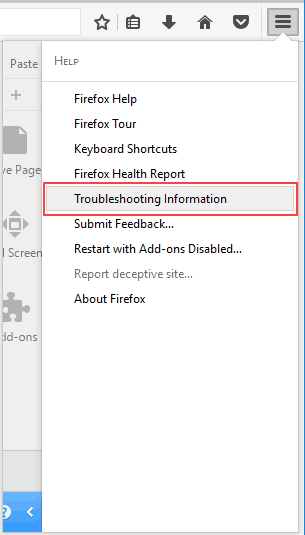 To refresh Firefox back to its default settings, go to Troubleshooting Information. There are a few ways to get there, the easiest of which is typing about:support into the Firefox address bar. Otherwise, from the menu bar, pull down Help and click Troubleshooting Information. …or from the Open menu button, click the Help icon, then choose Troubleshooting Information. 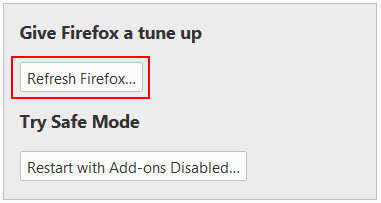 Once you land on the Troubleshooting Information page, click the Refresh Firefox… button under Give Firefox a tune up. This process will close all your Firefox tabs and windows, then relaunch them once the refresh process completes. Be sure to save your work before refreshing Firefox. A Refresh Firefox dialog will display with information about what will happen if you proceed. Click the Refresh Firefox button to continue. Firefox will close while it refreshes, and then relaunch. 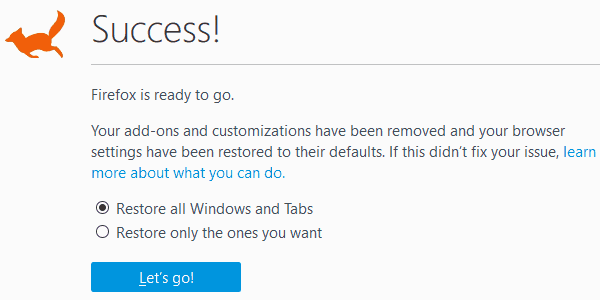 When Firefox relaunches, you will have the option to Restore all Windows and Tabs, or Restore only the ones you want. Thank you for visiting Tech Help Knowledgebase to learn how to reset Firefox to its default settings.